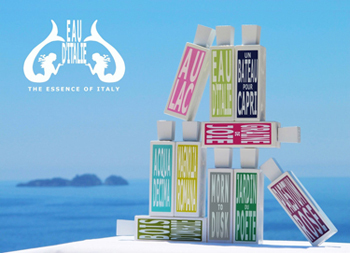 Eau D’Italie, the essence of Italy. A luxurious collection of fragrances and body care products inspired by Italy and born in Positano, on Italy’s Amalfi Coast, in 2004. The founders, Marina Sersale and her husband Sebastián Alvarez Murena, created the first fragrance Eau d’Italie to celebrate the 50th anniversary of Marina’s family award-winning Hotel Le Sirenuse. In the following years more fragrances and body care products followed. Today the brand is distributed in the most exclusive fragrance shops and stores all over the world.